NEWARK - Central Ward Councilman Darrin Sharif officially dropped out of the Newark mayoral race on Wednesday, hours after North Ward Councilman Anibal Ramos, Jr. also left the race. "After an honest assessment of our ability to raise the necessary resources to get our message out and to run a city-wide campaign, and after talking to my friends, close advisers and loyal Central Ward supporters, I have decided to withdraw my candidacy for mayor and announce my candidacy for re-election as a council member for the Central Ward," Sharif said. Sharif did not endorse any of the other Brick City mayoral candidates on Wednesday, unlike Ramos, who endorsed Jeffries. Sharif noted that he was in contact with Jeffries following his decision. Carl Sharif, Darrin Sharif's father, is Jeffries' campaign director. Newark City Councilman Anibal Ramos is expected to drop out of the city's 2014 mayoral election tomorrow and endorse Shavar Jeffries, sources told The Star-Ledger today. NEWARK — Newark City Councilman Anibal Ramos is expected to drop out of the city's 2014 mayoral election and endorse former assistant Attorney General Shavar Jeffries tomorrow morning, sources told The Star-Ledger. Ramos, who was rumored to be dropping out of the race last month, is expected to make the announcement outside the Robert Treat Hotel on Wednesday, according to the sources, who requested anonymity because they were not authorized to discuss the situation. It was not clear why Ramos was dropping out. A spokesman for Ramos declined to comment on the matter. NEWARK - The four men who aspire to power in Newark sat before a room of powerful people at PSE&G on Monday when a member of the crowd asked a question about the issue that will play a large role in deciding the May election. Josh Weston, the honorary chairman of Automatic Data Processing (ADP), commented on the state of education for Newark's children to the four Brick City mayoral candidates at a forum sponsored by PSE&G and public relations firm Zinn Graves & Field. Weston referred to what he saw as the "two educations in Newark" - the public school and charter school systems, asking the candidates how would they improve the former and would they expand the latter. 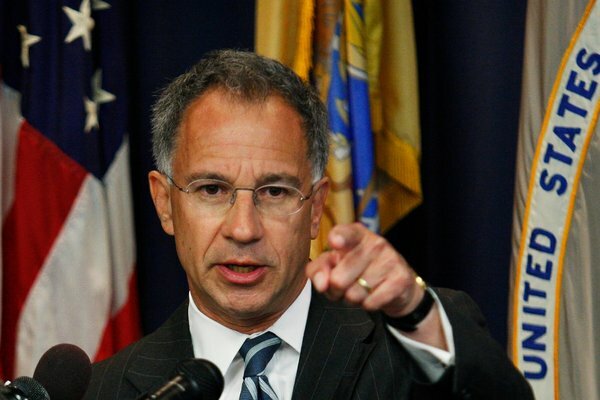 Paul J. Fishman, the United States attorney for New Jersey since 2009. For most of the nearly 1,600 days that Paul J. Fishman has been the United States attorney for New Jersey, he has carved out a strikingly different path from the juggernaut who preceded him: Gov. Chris Christie. Mr. Fishman has aggressively pursued health care fraud, cybercrimes and financial misdeeds; Mr. Christie was obsessed with public corruption. Mr. Fishman has been a frequent presence in Washington as a top adviser to Attorney General Eric H. Holder Jr.; Mr. Christie was almost removed, twice, by the Bush administration for reasons that were never clear. 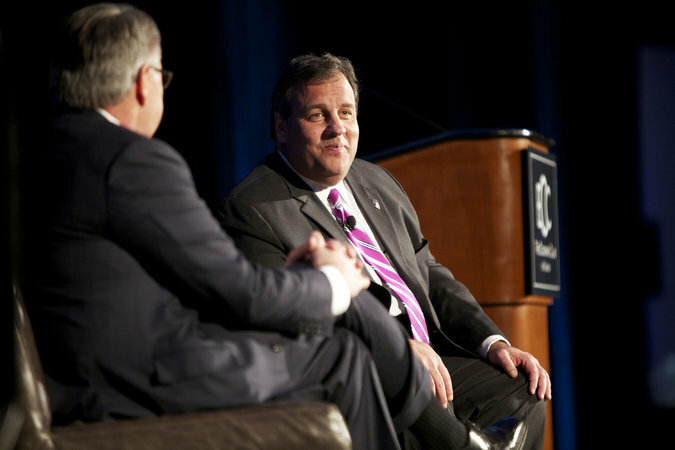 As a prosecutor with an eye on the governor’s office, Mr. Christie displayed a zest for self-promotion, frequently leaking information to the news media, and an uncannily instinctive approach to high-profile cases, leaving the details to others. Mr. Fishman, no one’s definition of a media hound or future candidate, has often delved into the minutiae of cases and frowns upon even the appearance of a conflict of interest. 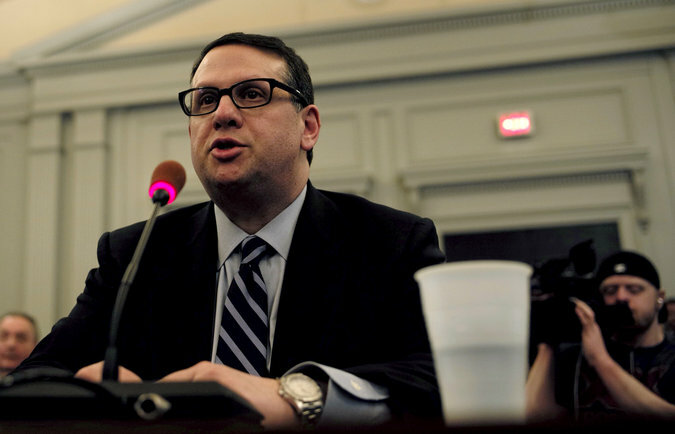 David Wildstein testifying last month at a legislative hearing on the lane closings. As Wally Edge, political blogger, David Wildstein was so anonymous that when he sold his company, the buyer did not know his real name. He knew so much about politics that reporters who worked for him assumed that he was a longtime newspaper editor in his late 60s or 70s, not a 40-something executive at a family carpet business writing as a hobby. While David Wildstein had few intimates, Wally Edge had many in New Jersey politics. His sources — including the United States attorney at the time, Chris Christie — plied him with tips and poured out their souls in emails and instant message conversations at all hours, knowing little more about him than an email address: politicsnj@aol.com.